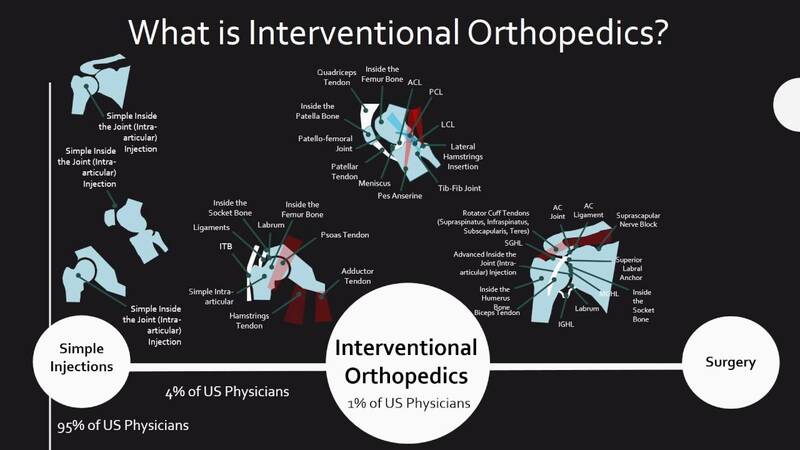 This morning starts the 4th annual Interventional Orthopedics Foundation conference in Colorado. This has been a great success story since our first edition in 2015. It also shows our dedication to a new field, interventional orthopedics. IOF was begun in 2015 with a generous seven-figure donation from philanthropist John Malone. Since then it has become the only source for physician education in interventional orthopedics that provides a structured curriculum in all areas of the field. The organization holds an annual conference in February that started small in 2015 with less than 100 people in a small room. Today, the 2019 edition has taken over that same Omni Hotel in Colorado and will draw about 325 people from all over the world. We have attendees from all over the United States as well as Europe, Japan, Australia, and Taiwan. Regenexx requires its affiliates to take the whole IOF training program, which spans several hundred hours of their time. Some of these courses are given in conjunction with the annual conference, and many other courses occur about once a month at the IOF training center. These are cadaver classes that have a didactic component and require pass/fail testing of the physician’s skills. These encompass all body parts, including the knee, hip, shoulder, upper extremity, ankle/foot, and spine. What’s Interesting About IOF 2019? We will begin today with a lecture by orthobiologic pioneer Philippe Hernigou from Paris, France. Then we’ll have many data-driven science talks mixed with fireside chats where we’ll explore all of the controversies in orthobiologics. These talks allow the audience to participate with world experts and delve heavily into the pros and cons of each topic. We’ll be discussing amniotic and umbilical cord tissues, fat versus bone marrow, surgery versus injections, an so on. I’m also handing off the reins as the founder of the organization to its first president, Gerry Malanga. We’ll also announce Rahul Desai as president-elect for 2020. This is great for me, as the organization needs to begin charting its own unique course and is now secure and big enough to do just that with new leaders. The upshot? I’m proud to be a part of IOF and to have given its bootstrap start! The annual conference has grown from a small gathering to a big deal. I’ve got to go and start my IOF day here in Colorado, but I thought I would share a bit about a great event! How was the postural deficiency diagnosed, and what are the symptoms in your case? We treat upper cervical issues that cause dizziness, imbalance, headaches, brain fog, cracking or popping in the upper cervical area and weakness.